There’s an old Mafia trope. Usually a mob boss looks all-powerful, like nothing can stop him and no one can stand up to him. Until he takes things a step too far, and The Commission, AKA the Board of Directors, the other families, whatever, they decide he’s done. And then he gets whacked. 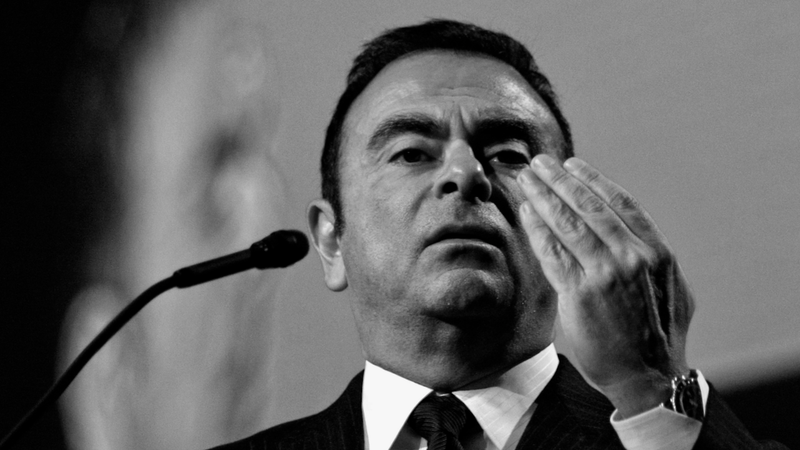 A new story from the Financial Times heavily implies that former Renault-Nissan-Mitsubishi Alliance megaboss Carlos Ghosn took things a step too far, and then Nissan’s board decided Ghosn had to go. Yes, according to this, Ghosn wanted a proper merger between the French and Japanese automaking giants. I talked about this a bit in today’s Morning Shift, but the Renault-Nissan-Mitsubishi Alliance has been inherently weird from the get-go. Nissan wasn’t doing too hot in the late 1990s, so it looked for support from the much smaller Renault, and a deal was made that both companies couldn’t refuse. It wouldn’t be a real merger, but in exchange for a heavy cash injection from Renault (and by extension the French government, which owns part of Renault) Nissan would pay a heavy price. Renault would take 36.8 percent of the voting shares of Nissan, and Renault’s CEO, a man named Carlos Ghosn, would also become Nissan’s CEO. When Nissan was financially able, it would seal the deal not in blood but in money, taking a stake in Renault. But this being the sort of deal that comes when a person is desperate for money, it was heavily lopsided. Even when Nissan did finally come up with the cash, it was only able to buy a 15 percent non-voting stake in Renault. You can see how this might eventually become a problem, seeing as how Nissan is about 60 percent bigger than Renault by sales. But Renault, the relative pipsqueak in this deal, was in charge. The deal may have been necessary to save Nissan at the time, but it wasn’t the sort of deal that Nissan’s board was particularly jazzed about. They couldn’t really do anything about it, though, except to hope for the best. Hope that Nissan could remain independent. But since Renault’s CEO was now Nissan’s CEO, and then later the Chairman of both companies, there was nothing Nissan could really do about it. And while Ghosn grew Nissan into the even larger company it is today, there was apparently one line he wasn’t supposed to cross. Mr Ghosn was the driving force behind the merger plans, which met with fierce resistance from Nissan’s board, according to people familiar with the deliberations. Renault’s 43 per cent stake in Nissan gives it unusual levels of control, with the ability to appoint senior executives. Nissan’s 15 per cent stake in Renault comes with no voting rights and gives the business no control over its French counterpart. Citing an internal whistleblower’s report over Ghosn allegedly underreporting his income, Nissan fired Ghosn, and Ghosn was then arrested and charged by Japanese prosecutors who were apparently working closely with Nissan. Investigators had carefully planned a multi-front assault on Ghosn on Nov. 19. One team of investigators was waiting at Haneda Airport in Tokyo for the corporate jet carrying Ghosn to land. They had learned beforehand that the jet was scheduled to arrive between 4 p.m. and 5 p.m.
Investigators also received approval from airport officials to approach the plane on the tarmac soon after it landed. That allowed investigators to board the corporate jet and to question Ghosn within minutes after it landed. Now, I am not saying that Nissan’s board was so spooked at the prospect of Nissan being forced to finally merge with the much-smaller Renault, giving the much-smaller Renault ultimate control over the Japanese giant, that they were able to find some financial misdeeds to be able to report to Japanese prosecutors, ultimately getting the architect of that plan arrested, and giving Nissan’s board an excuse to finally be rid of Ghosn—all because Ghosn had gone a step too far. It’s just funny how coincidental all this timing is, isn’t it?